The Gershwins’ Porgy and Bess explores the relationships between members of a close-knit community in 1920s South Carolina. More than 80 years after its premiere, Porgy and Bess receives its first ENO staging. Written for a large cast, with a 40-voice chorus specially formed for this production, and full orchestra, Porgy and Bess is infused with unforgettable melodies, including the much-loved ‘Summertime’. This is a stage work that is emotionally charged, powerful and moving, delivered through jazz, ragtime, blues and spirituals. Making their ENO debuts are conductor John Wilson and director James Robinson, the Artistic Director of Opera St Louis. Leading the cast are Eric Greene as Porgy and Nicole Cabell as Bess. Nmon Ford makes his role debut as Crown, and Latonia Moore, an outstanding ENO Aida, returns to the London Coliseum as Serena. British soprano Nadine Benjamin makes her company debut as Clara, while rising tenor Frederick Ballentine makes his UK debut as Sporting Life. Radio-wave system in the auditorium and induction loop at box office and all bars. Guide dogs allowed into auditorium, alternatively staff are happy to dog sit in the manager's office. 10 spaces for wheelchair/scooter users in total: 2 at back of Dress circle, 4 in Stall boxes and 4 at back of Stalls (companions can sit beside the wheelchairs users). 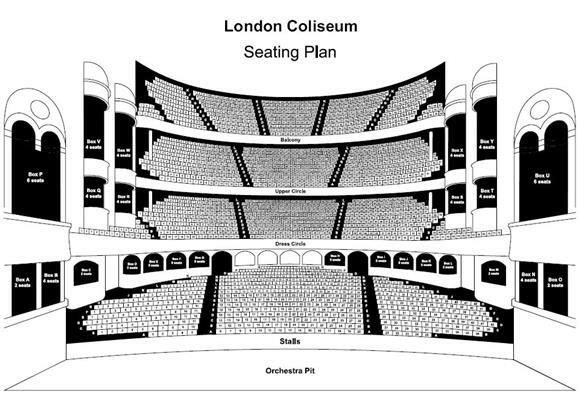 10 wheelchair/scooter transfer spaces: 4 in Dress Circle and 6 in Balcony. Theatre also provides 2 wheelchairs for loan. No steps to toilets off the foyer. More toilets at Dress Circle, Upper Circle (women's 10 steps up), Balcony and Basement. Adapted toilets at Basement, Stalls, Dress Circle (no steps from lift) and Balcony levels. Good leg room in stalls; B1-4, B33-36, C1 and C39 in the Stalls provide the best leg room. No steps to Stalls bar and bars in rear Stalls corridor. Further bars at Balcony, Upper and Dress Circles can be accessed by main lift. Dutch Bar on basement level (reachable by lift) accessed by platform lift or down 3 steps. Drinks cannot be taken into the auditorium.